Andalusite is a hard, grayish white to pinkish brown orthorhombic mineral. It occurs as nearly square prisms, often with cross-shaped cross sections, in metamorphic rocks. It is a polymorph of kyanite and sillimanite, but forms at shallower depths than they do, and at higher temperatures than kyanite and lower temperatures than sillimanite. Its chemical formula: Al2SiO5. Andalusite is named after the Spanish province of Andalusia. 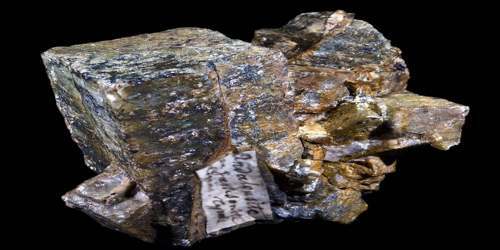 The origin of the name is misleading, since the type locality where this mineral was first described is not Andalusia, but rather El Cardoso de la Sierra, which is well north of Andalusia in Guadalajara Province. Andalusite is also known for its interesting variety Chiastolite, which contains a distinctive pattern within the cross-section of a crystal. The pattern is usually cross-shaped, and is caused by dark inclusions of carbon or clay. Andalusite is a polymorph or aluminum silicate, which consist of two other minerals – Kyanite and sillimanite. Polymorph is a mineral, which comprises same chemical composite with different physical structure. Andalusite stone is an extraordinary stone that influences wearer’s muscles and nerves through its effect on the brain, which helps them in the treatment of uncontrollable movements. This stone is believed to regulate sleep and helps in alleviating the paralysis of nerves, muscles, and joints. Andalusite crystals comprise anti-inflammatory properties, which helps the wearer in reducing the pain of arthritis, joint inflammation, gout, and rheumatism. 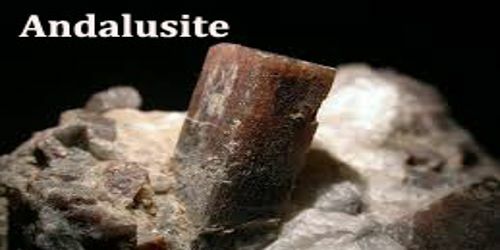 Hence, it is said that andalusite is an excellent stone for connective tissues and skin. A clear variety first found in Andalusia, Spain can be cut into a gemstone. Faceted andalusite stones give a play of red, green, and yellow colors that resembles a muted form of iridescence, although the colors are actually the result of unusually strong pleochroism. It is associated with mica schist, which increases alkali content in ultimate product and so it has not been exploited economically so far. Andalusite forms during the regional metamorphism of shale. It is found in schist and gneiss at some present and ancient convergent plate boundaries where the rocks have been exposed to the temperatures and pressures needed for its formation. 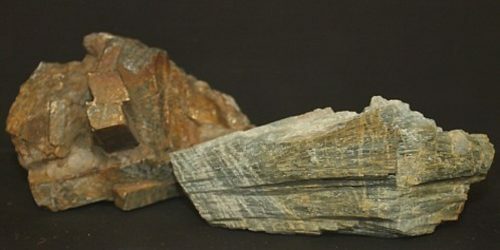 In these rocks, andalusite is often associated with kyanite and sillimanite. In prismatic and blocky crystals and crystal grouping, often with a squared cross-section. The crystal shape is usually rectangular, and sometimes with beveled edges. Habits are most often massive, grainy, columnar, radiating, as embedded crystal outlines in matrix, and in rounded waterworn pebbles. It can be associated with cordierite in hornfels, granite, and granitic pegmatite.